Aimed at prosper growth in our domain, we are engaged in offering an excellent quality Wooden Floor. Being a leader in this industry, we are devoted towards providing a premium quality array of Designer Wooden Flooring. With the assistance of our well expert team of our company, we are engaged in trading and supplying a huge series of Wooden Flooring in Faridabad, Haryana, India. Offered range of Wooden Flooring is designed and manufactured using best grade raw material, sourced from the most eminent vendors of the industry. 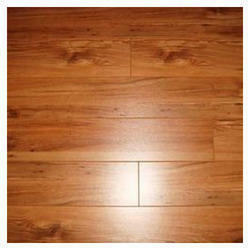 One can avail this range of Wooden Flooring from us at budget friendly prices. Owing to our experts’ knowledge, we are presenting Oak Wooden Flooring. We offer these at reasonable rates.